Today, Sharp that drew our attention away from the deluge of press conferences on offer - Sony, Nokia, Samsung, Intel and Microsoft - with its own gorgeous 80-inch(!) 3D LED TV. Although the 80-inch behemoth was announced by Sharp last October, the Japanese electronics company has now back-tracked on its intention not to go 3D. The latest version of the TV, called the LC-80LE645U (so great at product names), features an active 3D technology called 3D X-Gen that is set to deliver jaw-droppingly awesome 3D images from its whopping 3,840 x 2,160 native resolution display. The TV also features 'smart' built-in wireless functionality, web browsing and “hundreds of apps”, including Netflix, which coincidentally launched here in the UK today. 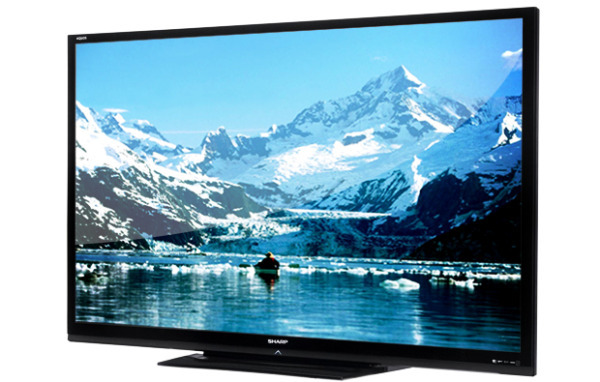 Prepare to get the sledgehammer out for your walls – Sharp has said the TV will be available as soon as April 2012.